“Last Thing To Go” begins Corinne Cook’s new studio album serving notice to anyone listening that she means every bit as much business with her latest that she meant with her debut. The confidence level, naturally, is much higher than before and that’s a big reason why Cook’s turn with blues rock on this number is particularly memorable. She definitely has the vocal chops to make this one fly, but she’s also earned the necessary gravitas and needed focus to help this song burn so hot it singes your ears. 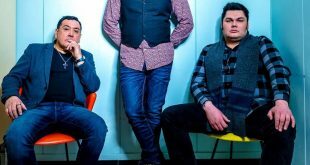 Things continue in a relatively light hearted vein with the album’s second tune “One Box of Tissues”. I love how Cook tricks listeners a little with the song’s introduction before flawlessly transitioning into a hard-pressing mid-tempo country flavored romp. It’s definitely in a pop country vein, the flavor of the moment in the genre, but Cook avoids the standard assortment of clichés that have already marred the style thanks to countless lesser practitioners of the form bludgeoning listeners into submission with their paint by numbers talents. She further enchanted me with the album’s title song “Yes I Can.” One doesn’t have to be a woman to appreciate the fine job and worthwhile message emanating from this tune and the chorus, in particular, Both Cook and her supporting musicians develop this song as if it’s the album’s crowning jewel and their patience pays off with a full bodied performance plumbing deep into emotional territory and tying the lyrical loose threads into one coherent strand. “Trying Not To Die” is one of the best ballads you’ll hear from an artist of this stripe in recent memory, but it isn’t an always easy listen. There’s no question the song has melodic attributes and first class production to gain listener’s attention, but the material is emotionally fraught and Cook does an exceptional job getting under the skin of the song without ever stretching too far for effect. “Devil’s Heaven” turns the album’s trajectory in a distinctly different direction compared to earlier efforts and leans more towards the rock side of things than either the first or second song do. Cook owns the subject matter without a hint of judgment and the writing does an exceptional job of fleshing out the song’s central character through significant detail. “Mr. Mechanic” pairs up rather well with the aforementioned song and shows even more teeth than the former tune, but it’s never presented in a predictable way. Both Cook and her accompanying musicians, however, convincingly rock out with this cut. The album’s finale “Those Few Dreams” brings together a slow percussion march, military style, with a reflection on loss that isn’t totally bereft of hope or inner strength. It makes for a great ending to Yes I Can and stands as an interesting bookend to the stormy opening number. 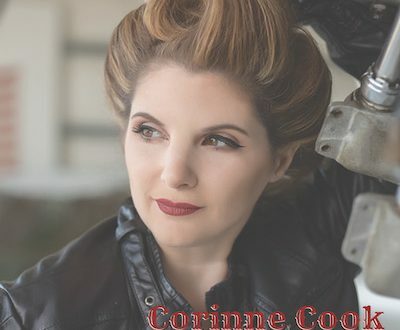 Corinne Cook has hit a new peak with this release and continues to get better with each new release in a breathtaking way.